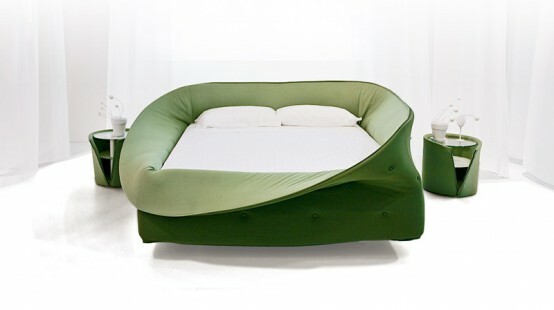 Col-Letto is the latest bed presented by Lago. As many other company’s products it’s very creative and functional. Its design reminds a nest or a high cloth collar thanks to a wrapper that surrounds it. That wrapper creates feeling of comfort and protection. Besides it might serve as a barrier that protects from a draught and even some noise. The “collar” of the bed also allows to change its look completely thanks to several position varieties. 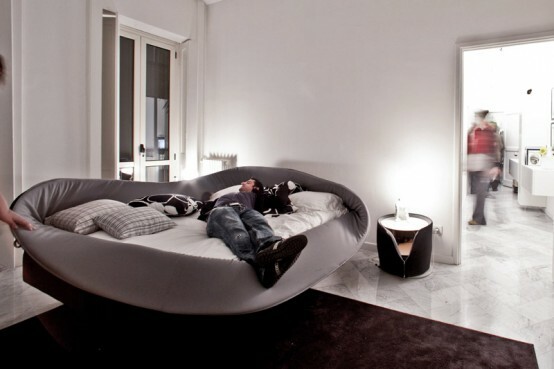 Imagine how cool your sleep would be in this nest.